Longtime readers of this blog (or just about any Oakland blog) will remember that a year and a half ago a bunch of activists, including many bloggers and blog readers, joined together to prevent Oakland’s Redevelopment Agency from building a parking lot in Uptown Oakland next to the Fox Theater. In March 2009, an issue came before the Oakland City Council that inspired me to organize Oakland residents and community leaders to work together to make change. The City had leased a large parcel in Uptown Oakland to a developer and most of it had been turned into apartments and a park. Part of the parcel that had been slated to become a condominium complex sat empty because the housing market had tanked and the developer asked the City for a two year continuance on its permit. As a condition of the continuance, the Redevelopment Agency asked the developer to contribute funding to build a temporary parking lot to fill the space. I opposed this proposal because the parking lot was proposed for the heart of Uptown, an area of Oakland that had recently become vibrant after being nearly empty for decades. Part of what made this area so vibrant was its walkability, and adding another parking lot with dangerous curb cuts would have endangered that. Together with three other Oakland residents – a motley crew of smart growth advocates and historic preservationists – I attended a committee meeting to speak against the parking lot and urged the committee members to consider other uses that would be more pedestrian and eco friendly. The committee members listened and directed redevelopment staff to return with alternative proposals. We knew that staff were pushing hard for this parking lot and were unlikely to return with serious alternatives so I wrote a blog post about the situation and asked for readers to chime in with their ideas for the empty lot. In nearly 50 blog comments, Oaklanders shared their ideas for the lot, including a solar panel array, community garden, soccer field, mini-golf course and large scale Burning Man art. I and other Oakland bloggers posted action alerts urging Oaklanders to email committee members and to attend the next committee meeting. Dozens of people sent emails and nine of us testified at the meeting (in the middle of a workday). Staff stated at the meeting that there was no alternative to the parking lot, and the committee members listened. They unanimously approved the parking lot and put the item on the agenda for the next Council meeting (just one week away). I and a few other bloggers wrote action alerts. A resident inspired by our blog posts wrote an op-ed in the Oakland Tribune. 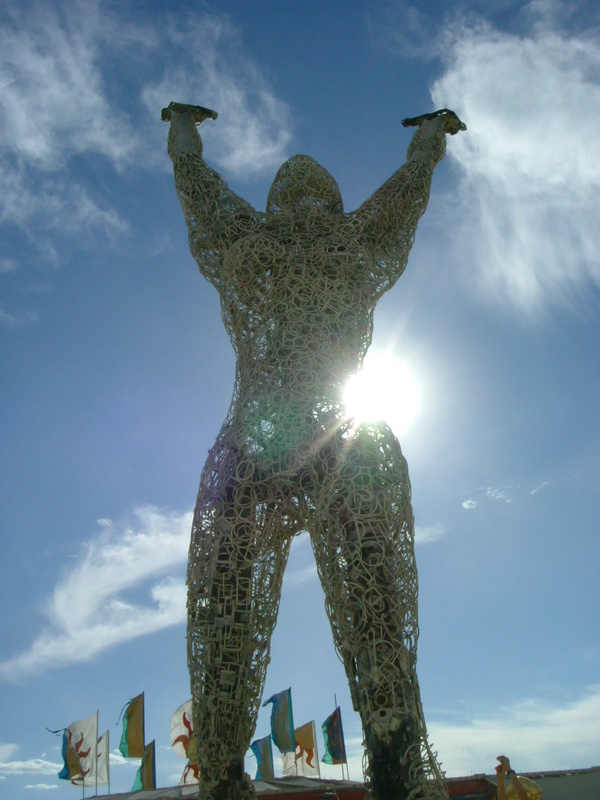 I and a colleague urged councilmembers to consider using the lot to display large-scale Burning Man sculptures. 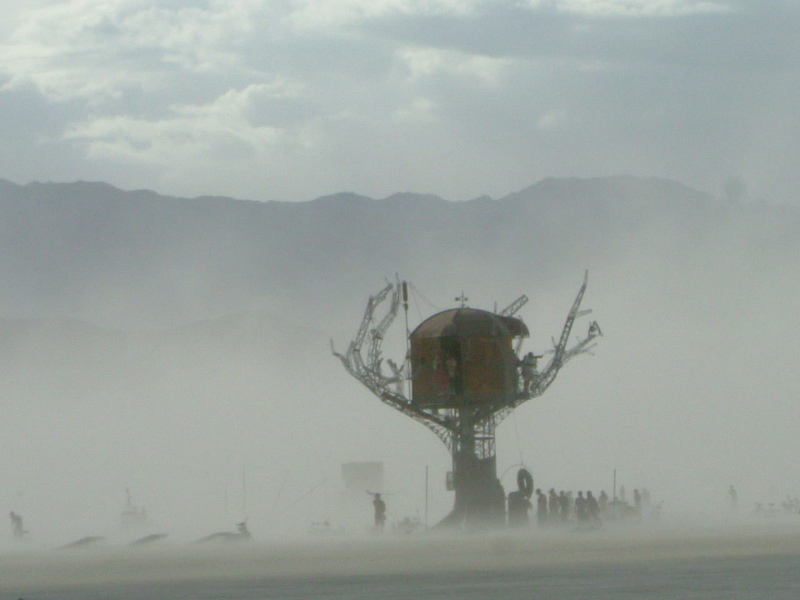 My colleague talked to the Oakland Arts Department and I contacted a Burning Man artist to discuss logistics and to ask him to come to the Council meeting. More than a dozen Oaklanders turned out to speak – several of whom had never spoken at a Council meeting before. Councilmember Ignacio De La Fuente carried our proposal and the Council voted unanimously to direct staff to pursue it and not to build the parking lot. City staff fought this directive for months so the sculpture garden was never built. However, the parking lot was also never built and the fence around the lot is now used to display beautiful murals by local artists. Well as of yesterday, the end of the story has changed. plans the creation of the Uptown Arts District Park, a historic and re-emerging arts and entertainment district. Development of the park will transform an unused vacant lot into an outdoor cultural space for at least four years. The park will include rotating temporary exhibitions of public sculpture, newly commissioned public art projects, and an amphitheater for events by arts and community organizations. The park will complement the Fox Oakland Theater, the Oakland School for the Arts, and new restaurants and nightclubs, all within two blocks of the proposed park site. The division is partnering with Black Rock Arts Foundation to exhibit works of public art, many by Oakland artists. 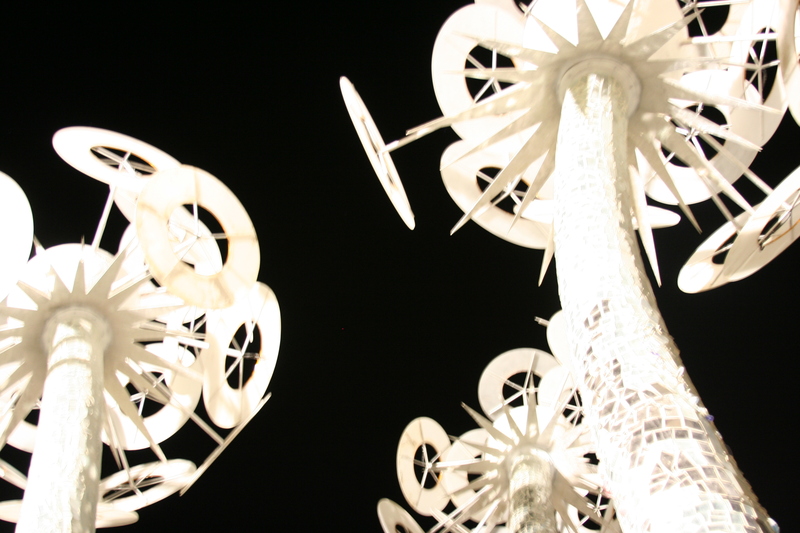 The park is expected to become the core of the downtown arts scene. So yeah, we’re getting art, and not just a lot with art that is fenced off, but a gathering space too! I could not be more excited about this. Many of us worked for months to make this happen, and I’m so proud of what we accomplished. Instead of a parking lot with dangerous curb cuts that blights this vibrant neighborhood, we’re getting a huge space filled with art that will attract even more people to the arts center of Oakland. Thanks to everyone who helped make this happen – especially to dto510, Naomi Schiff, and Joyce Roy, who joined me at that first committee meeting when few thought we had a chance at winning. And thanks to the City’s Cultural Arts staff for pursuing this grant. OK, well, that minus the dust and with buildings instead of mountains in the background, but you get the picture. 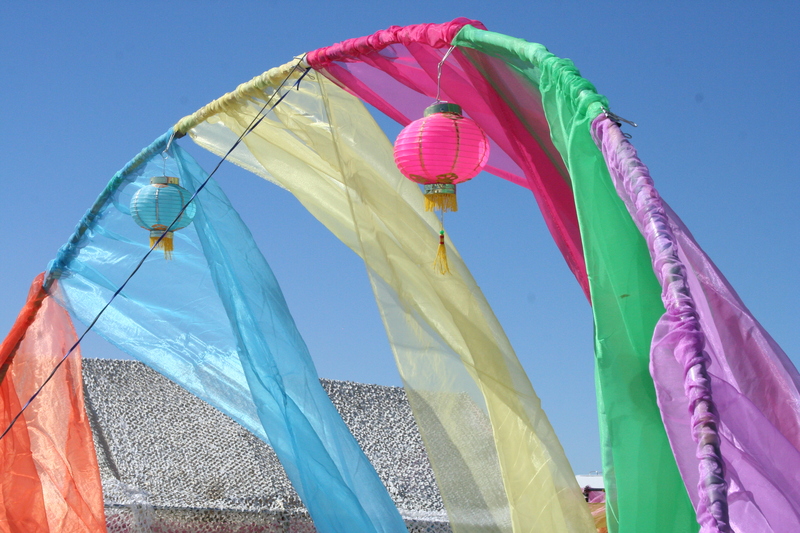 See you on the playa… I mean in Uptown. 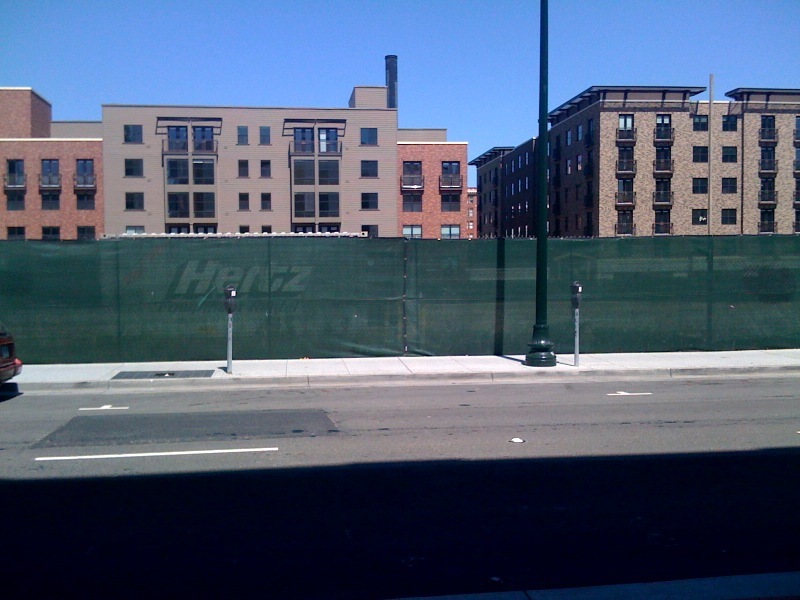 4/20/09: Take Action: Stop the Council from approving a surface parking lot in Uptown! Oh, nice! Our own version of People’s Park. Rejoice! It was great that the Cultural Arts Dept. (Steve Huss) went ahead and sought funding! There are some fine people working for the city, and willing to step outside the box. I liked your write up. It’s this sort of effort that allows citizen activists to retain some hope of effecting change. By the way, under the truly hideous post-earthquake skin, the Sears building is a historic brick building which some of us wonder about. It was very elegant; is it recoverable? I know some developers would love to get their mitts on it. An effort for another day! Leave it to Naomi to sully a great achievement with paranoia and invective. Gee, Anders, I was responding to Hometown grrl: “demolish that god-awful Sears building”. I don’t see any paranoia or invective in what I said, but perhaps that is in the eye of the beholder. I have spoken with two fairly well-known local developers, each of whom wishes Sears would get out of the way and let them restore that sad building. Congratulations, y’all! This is a fantastic and heartening achievement. This really is fabulous news. Huge thanks to you and the others who persisted in fighting the parking lot even when it appeared you had no chance of winning. Huge thanks also to the City’s public art staff who pursued this and managed to secure the funding for this project even as the Redevelopment Agency has been trying to get the City’s zoning laws changed so they can turn the space into a parking lot. Also, great essay! I hope you get into your program. I can’t think of anyone more deserving. Great news! Please visit Garden Hortica if you havent at 668 7th St to see what we did to an empty lot. Or come to our First Annual Fundraiser for Big Brother Big Sister of the East Bay on Oct 16. Hey Becks, the others who worked on this campaign, and our cultural department staffer: Congratulations!! This is what Oakland needs more of to become a brighter “creative class” mecca. Um, don’t forget the lowly council staffer who actually wrote the motion, got her boss to carry it, crawled around on her knees behind the dias during the meeting to sell a couple other council members, coordinated with Cultural Arts, and harassed CEDA to make sure it wasn’t deemed “infeasible” after the fact. Indeed! Thank you Libby! It was a close call! I think that one of the reasons that the businesses in downtown Oakland have not thrived has been the lack of parking. We have tried the art thing over and over again. I agree that art is beautiful and part of our rich culture, but the businesses in downtown Oakland deserve our support and they lose customers when there is no where to park. I have a daughter at OSA and I am an Art supporter. I am also a former downtown Oakland business owner. When my business closed, I polled my customers and 95% of them cited “lack of parking” for why they took their business outside of Oakland and away from my business. When I have been late to or even once missed a parent meetings at OSA, it was because I couldn’t find a park! When I go to see my daughter perform, I cannot find a park! There have been businesses that I love in downtown Oakland that I do not patronized because I cannot find a parking space. Business owners pay taxes which support our local public and charter schools like OSA. Oakland is hurt as a city when our small business do not thrive. I think this is a lose for Oakland. Not a victory! Do you mean street parking? Because it’s true that at times there’s not much street parking downtown, which is true in pretty much any vibrant downtown. But there are tons of paid parking lots, just as this one would have been. This was discussed at length a year and half ago when this issue came before the Council. The Council at first believed the Redevelopment Agency that we needed more parking lots downtown, but upon further investigation agreed with advocates that there’s already plenty of parking lots. We just need better signage and need some of them to stay open later. I think there is a lot of parking in downtown Oakland. There is very little “free” parking, but I find it easy to park for short bits at meters or longer in garages. Most of the time, though, I walk or take public transit downtown. Places like San Francisco financial center, midtown Manhattan, and downtown Los Angeles have relatively little parking either paid or “free.” They seem to have plenty of business going on. I think the real problem in downtown Oakland is that we don’t have a high density of people (both residents and workers). Part of the reason we don’t have more people is we devote too much space to automobiles.